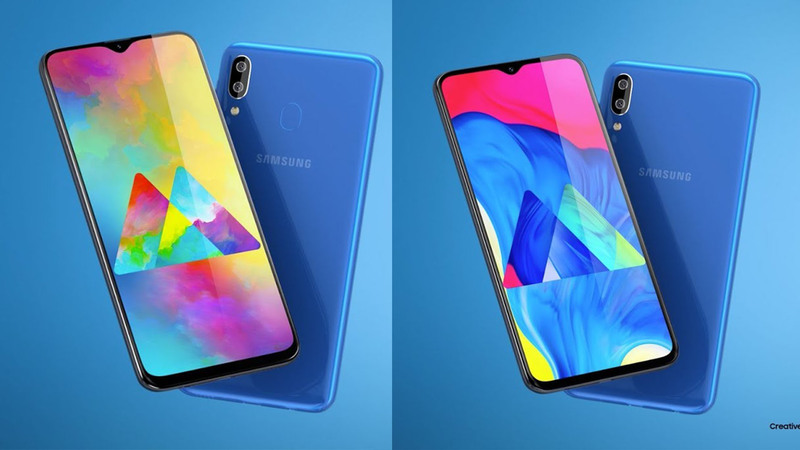 Two new smartphones from Samsung has been unveiled and these are the Galaxy M10 and the Galaxy M20. These are the latest smartphones from the company and it’s exclusive to India as of this posting. These smartphones are interesting not just because they have the Infinity-V displays but they’ll also sport a price that is friendly to our pockets. The first one is the Samsung Galaxy M10 that sports a 6.2-inch HD+ display with Infinity-V notch and then there’s the 13MP+5MP wide-angle rear camera and an Exynos 7870 chipset with 2GB or 3GB of RAM. The battery is pretty good too at 3430mAh. While the Samsung Galaxy M20 is the superior brother than comes with 6.3-inch FHD+ IPS display with an infinity-v notch, and then there’s the fingerprint scanner which is missing on the Galaxy M10. There’s a 13MP+5MP Wide-angle snapper too and it’s powered by a more powerful Exynos 7904 chipset with 3GB or 4GB RAM.